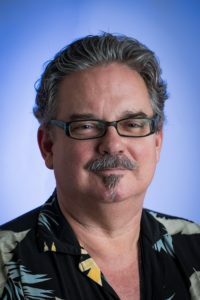 He is the author of 9 books and over twenty (20) transformational audio MP3’s and hosts his own weekly LIVE radio show The Jimmy Mack Healing Show on Tuesdays at 9pm ET. He works with clients in person, on the phone and over Skype worldwide accessing energetic powers and co-creating changes that you can actually feel. "Had my first healing session with Jimmy Mack. I can assure anyone that he is the real deal. He made me feel comfortable and I was pleased with the results. I was reluctant at first and after listening to a lot his weekly shows, I tried it and I liked it, I have recommended his services to quite a few people, he not only fixes your ailments but he incorporates the mental element also. Thank you Sir,it was an honour to be healed by you. Will book another session." After a near death experience, a simple, powerful healing method was divinely given to me and it changed everything! 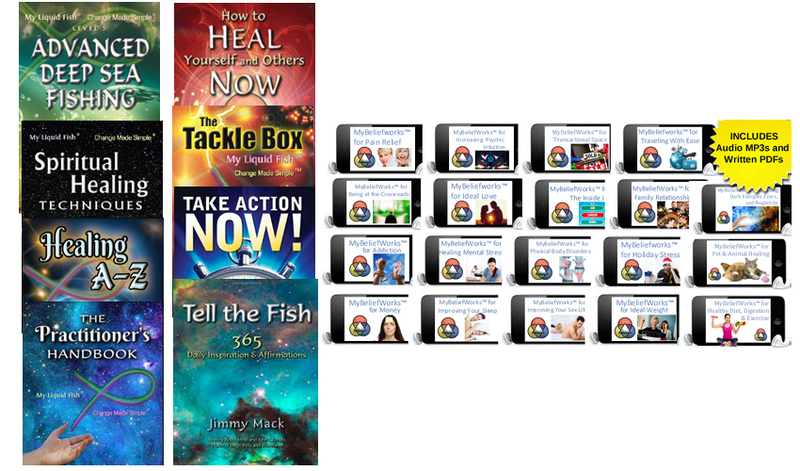 Enter your name and email below to instantly receive Jimmy’s exclusive online My Liquid Fish® Starter Kit plus weekly updates, inspiration & unexpected gifts! Consciousness acts like a super computer and if we can change the software, we can change our lives by tapping into the field of our hearts, our feelings and beliefs we can transcend all of the laws of lack and separation thus shattering our paradigm of limitations. What I have been given access to by the divine is real, different, and I have seen it work time and time again on a variety of different clients with various diseases, disorders and circumstances throughout the various far reaches of the world. Distance, time and space are irrelevant and it will not matter if I see you in person or over the phone or Skype. During our session, Spirit will still move in, around and through us to create profound and mystical changes in your life and mine. This I believe and this I know. Together, we can co-create changes that you can feel. Working with My Liquid Fish® is the quickest, least expensive form of energetic healing that can make profound changes in every aspect of your life that I have ever come across. I believe that all change begins and ends with us working on ourselves and that everything is energy. When I work with others, I show them how to get a clear answer on whether their energetic frequency is vibrating at a YES or a NO when testing out a specific statement of belief. Once we have that information, we then have a direction to create change. The real power is not in asking the question, it’s in the ability to actually change beliefs by shifting the energy. 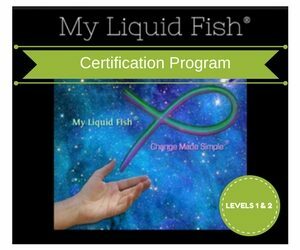 As a result of my NDE, I've been given access to and have developed a proven technological method for making change simple w/ My Liquid Fish® and I freely make available to all by offering the MLF Starter Kit. I am dedicated to bringing peace, health and abundance to clients regardless of the challenges they face. I have experienced great success guiding clients through a variety of illnesses and life challenges regardless of the cause or duration. Click here to find out more about me. Don’t just take my word for it, visit my testimonial page to read about what others have had to say about their experiences. Jimmy Mack is a renowned medical intuitive and spiritual life coach who has taken, completed and even mastered a variety of healing modalities. After a near death experience, he was shown and developed a simpler way to create healing and profound changes now known as My Liquid Fish® Change Made Simple®. He is the author of 8 books, over 20 Audio MP3’s for self-help and hosts a weekly Blog Talk Radio show now on iHeart The Jimmy Mack Healing Show. He works with clients in person, on the phone and over Skype worldwide accessing energetic powers and co-creating changes that you can actually feel. Each week we feature different intuitive readers and healers from around the world! Replays are just as powerful as the originals! Click here for the next LIVE call & Archives! Remote service available worldwide via Skype!